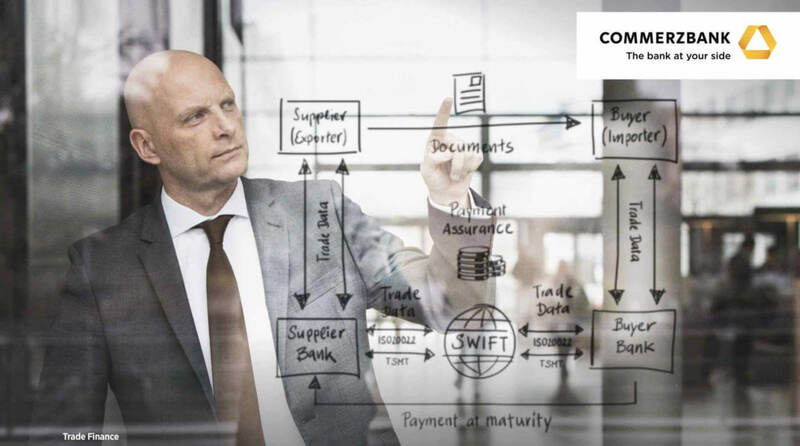 In the face of slow market adoption for the Bank Payment Obligation (BPO), which serves as a legally binding undertaking to execute payment for goods or services, Commerzbank has launched a new whitepaper, “Leading the path of digital evolution”, which explores how to boost BPO adoption among banks and – crucially – their corporate customers. 2010 was a milestone for the BPO: it was then that it moved beyond the “proof of concept” stage and reached its “pilot”, as Standard Chartered Bank’s internal branch network facilitated a transaction between BP and Octal. The first cross-border transaction, between Bank of China and Bank of Montreal, took place the same year. The BPO has since matured to its “commercialisation” stage. More corporates have used the instrument, and the number of “BPO- active” and “BPO-ready” banks is now about 40, situated primarily in Asia and Europe. Such BPO-active banks are citing growing BPO business and reporting that – slowly, but steadily – more corporates are being onboarded for the purpose of completing new BPO transactions. Market adoption is crucial to the success of any given product; the BPO itself continues to be adopted because it both fills existing gaps in the market and satisfies the demand for value-added, client-centric digitisation. Yet market adoption of the BPO has been relatively slow. “What’s more, BPO offers yet greater potential in the Supply Chain Finance space, where it can serve as an enabling framework by electronic matching of data of the physical supply chain to provide solutions along the financial supply chain in a digital environment. Not only does it secure the payment itself, but it can also provide security for financing against the payment by the recipient bank or the obligor bank, and allow a deferment of payment terms and maturity date. This is crucial for giving the buyer more autonomy over their working capital cycle and the supply chain in which they work, as well as preserving the liquidity and credit facilities of the supplier.” added Koll. 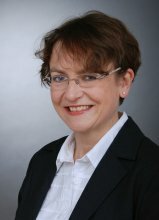 The paper suggests that adoption of the BPO has been slow, so far, because: trade is traditional, yet complex; there remains a scarcity of banks available to transact with the BPO; corporates and banks still need to be made aware of the instrument’s appeal; and the URBPO still largely position the BPO as a tool for banks, rather than for corporates as well. How does a Bank Payment Obligation Work? The buyer and seller agree on the purchase order data as the basis for triggering the payment obligation after shipment. This data protocol is called the “established baseline”. Now the seller already has the assurance to receive payment at maturity if shipment is effected according to the agreed terms and the data presented in compliance with the baseline. 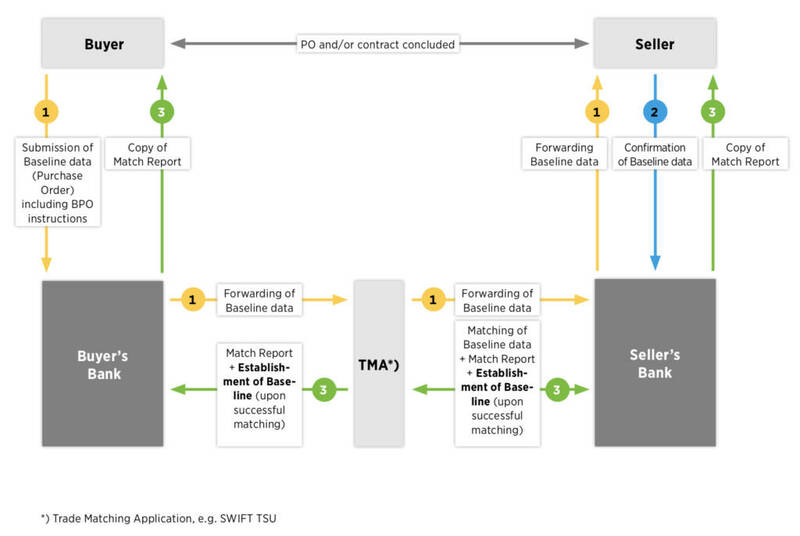 The data flow is channelled through the involved banks and processed on the SWIFT TSU. 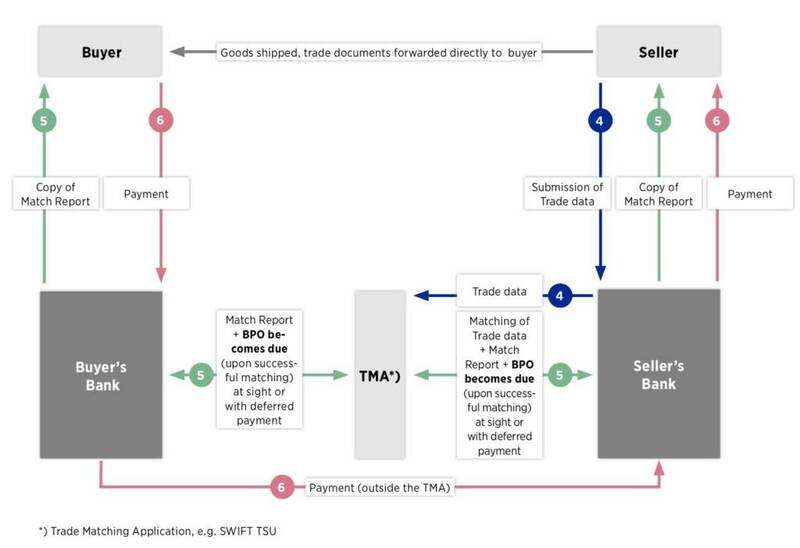 After shipment, the seller provides the invoice and shipment data for matching against the baseline on the SWIFT TSU and sends the trade documents directly to the buyer. Upon successful matching of the data, the BPO becomes due and the obligor bank is automatically obliged to pay the BPO amount at maturity. 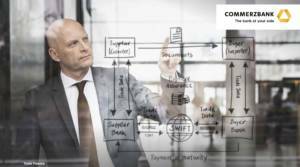 Commerzbank successfully implemented its BPO front end in November 2018, thereby completing its digital BPO processing offering. The front end allows corporates to enjoy digital end-to-end communication with the data matching engine of SWIFT (SWIFT TSU). The BPO front end supports fast, automated and seamless transaction settlement processing of the BPO and improved efficiency to their working capital cycle. Around 40 banks are offering BPO handling for trade business at the current time.